An explanation for Slender Sickness? The rule often goes that exposure to the Slenderman will cause illness in human beings. This could be an otherworldly effect, but it could also be purely scientific. According to tests done over the years, some paranormal experiences have been explained by the presence of infrasound, or low frequency sound, and how it affects sight, feelings, and the physical world. Because of its low frequency, it cannot be heard. When subjected to infrasound, the individual can experience pain in the eardrums, anxiety, chills, and other feelings that create the sense of an otherworldly encounter. Objects can be seen moving/vibrating on their own. Under the right conditions it can vibrate the eyeballs and cause visual hallucinations (like seeing ghostly figures). Sound at a higher frequency can also cause ailments. According to results published by NASA researcher GH Mohr, frequencies between 0Hz and 100Hz, at up to 150-155dB, produced vibrations of the chest wall, changes in respiratory rhythm, gagging sensations, headaches, coughing, visual distortion, and post-exposure fatigue. 5 Subsequent research has determined that the frequency that causes vibration of the eyeballs – and therefore distortion of vision – is around 19Hz. This leads me to wonder if perhaps the Slenderman is causing some sort of disruption of sound or even emitting his own (wouldn't it be interesting if he could speak but it would be too low or high to hear or understand, and just freaked us out and hurt us?). drowsiness, localized physical pain (e.g. headaches or joint pain), difficulty breathing, vertigo, incontinence, nausea, disorientation, or other systemic discomfort. I bring this up because I like the idea of the Slenderman disrupting or generating sound and/or electromagnetism, perhaps at frequencies that make sense either for himself or for where he comes from, and which jacks up everything around him and adds to his menace. That he's at odds with the whole world, a sort of incongruity or "pebble in the shoe" sort of entity. I'm impressed at the amount of effort you put into that I must say. And what you've said enables for a massive sci-fi twist on the whole mythos. Assuming that Slendy was intentionally releasing electromagnetic sound waves to disrupt human technology. He does this so that humans do not discover the 'Ark', a small haven for the last of his species which is orbiting a nearby planet. I don't think I've loved a single mythos contribution as much as this one. Thank you so much for sharing, it's brilliant. I once shared a theory-type thing somewhere on here that was similar to what you're talking about. Basically I said that Slendy "saw" through a kind of constant echolocation. He's just beaming out these inaudible sounds that bounce back to him and allow him to understand his surroundings. So what if the frequency messes with humans? Bonus points because a human face "viewed" in this manner would likely seem as blank as Slendy's own visage. Oh man, I love the theories in here! One thing though, the scientist in me has to ask... what kind of EM radiation are you talking about? Ultra-high (or ultra-low) frequencies? Visible light, gamma rays, radio waves, and everything in between is all EM radiation. On that note, Slendy could be able to see more/fewer wavelengths than we can, or different ones entirely. He may 'see' soundwaves or radio waves, but not visible light. Or he might see gamma and x-rays, but nothing lower than that. Or maybe he sees infrared. On that note, some eyeless animals do have eyespots, which are little patches of visual cells that react to light. So Slendy might be able to sense changes in light, but not actually see in the same manner we do. We seem to be working on a sciency theme, so maybe he doesn't eat you, just probes you? Um, anyway, I assume we're talking somewhere between Ultra Violet and Gamma. Low enough to be useful, high enough to not be lethal to those he surrounds. Or perhaps it is gamma radiation, and that's what causes the slender sickness. Gamma radiation is lethal to humans in high enough doses, they can cause cancer. If he's using gamma rays to communicate, they must be lower-wavelength gamma rays and they must be in very small quantity in order to just cause sickness, and not death. Or maybe they do eventually kill you. I didn't look it up in great detail but apparently microwave and radio wave electromagnetism were being studied in the stuff I looked at. It was on the Electromagnetic Weapons page on Wikipedia. There were citations for the stuff I listed. The Electromagnetic Interference page is also cool. 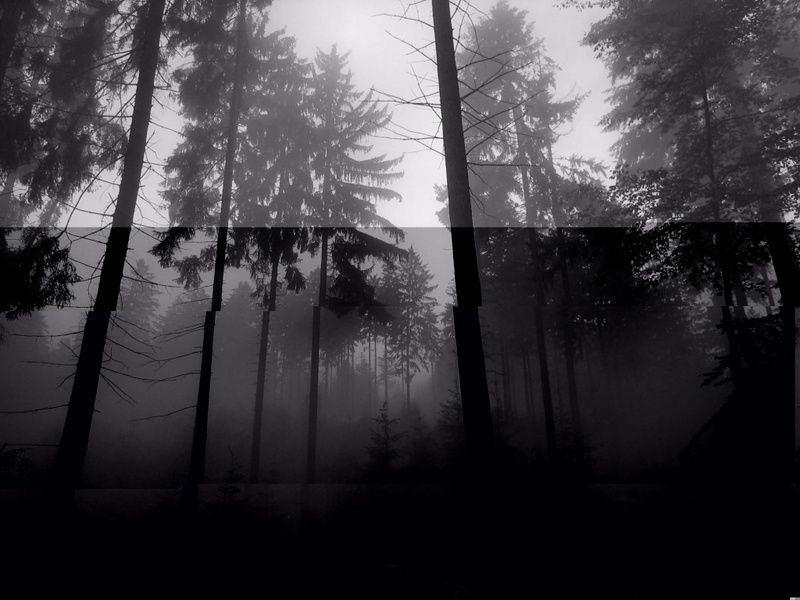 The picture shown looks like it came right out of MarbleHornets or something similar. When they stop screaming, they're done! He's trying to tell us the secret to time travel. He only wants to help us, the poor dear. Yeah, I don't actually "believe" any of these theories. I feel Slendy exists largely outside the rules. It's just fun to play Scully sometimes (even though Mulder is always right). 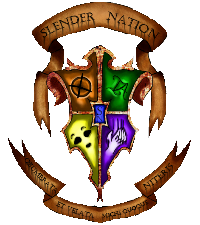 I believe in just about any and all theories, and to me different aspects fit with different Slenderman iterations. So, depending on the series, I believe different theories about him. I'm very adaptable that way. I also am a chemist by nature, and as such I like delving into scientific explanations sometimes. I don't necessarily believe Slendy can be explained by science 100%, but it is one way of explaining him somewhat and delving into what his powers could be based on/limited by/etc. My view (at the moment, that is) is that he can be explained logically and scientifically, but that our logic and science is way too limited after a certain point (the time-space stuff as it gets more and more complex, the tentacles, etc). If our minds were more expansive then we'd see him as totally logical and normal, but for the moment most of what he does might as well be sorcery. I really like the theory on frequencies I've read here, I like anything fantastical that can back itself up with scientific evidence. This concept you've given really fascinates me and I think I'm going to do some research of my own now. After all, if something can happen, then there's got to be an explanation for it, even if we don't get the explanation because it's beyond our understanding. I not only like the sound wavelengths, but also like the visual wavelengths ideas. It offers a lot of possibility. Thank all of you for sharing. Though, like others I personally prefer to keep it fairly mysterious and keep him a few levels above the other characters. Actually, a lot above the other characters because he should be the least understood character. My novel is very fantasy-oriented but tries to put a logical face on the fantasy. I'm not even sure if I'm going to go through with this novel right now and finish it (though I really want to), but anyway I -sort of- gave an explanation for the sickness. My character would of course vomit and cough up blood, but she would also get ear and nose bleeds, and even bleed from her tear ducts. (As well as the general dizziness and not-feeling-good-at-all that goes with blood loss). The core of the explanation was that her blood was trying to leave her body wherever it could find a chance to leak through. The more she leaves and goes somewhere else, the more blood tries to leave too...That does need another explanation all it's own but I'd prefer to keep that a secret for when I actually share what I've written. Can I hijack this theory for a blog? Which theory, the OP's or mine? Because I don't care; you can use my ideas if you like. Aww, no problem. I'll post in this forum once I get it off the ground if you want. On communication: Something I think is possible is that he communicates telepathically RARELY and the hearer just doesn't bring it up because he thinks everyone could hear that. Sickness: I think that Slendy uses a form of radiation for his powers. For example, if he is about to teleport there may be surges of radiation around him, involuntarily causing teleports ( Seen in Tribetwelve when Noah and DH tele far away ) or causing sickness ( When he teleports away from Evan hitting at him with a baseball bat in EMH ). I also think that the main protagonist gets sick because Slendy marks them with a beacon of sorts. This allows him to go to that person whenever he wants, but it makes them sick as it is radiation. He communicates telepathically RARELY and the hearer just doesn't bring it up because he thinks everyone could hear that. True, but that would pretty much be spoiled as soon as you said "Hey, this tall faceless guy is talking into my brain that's not weird or anything is it?" XD More realistically, once the target did figure out only s/he could hear it, s/he might not say a word fearing that people would think them insane. I also think that the main protagonist gets sick because Slendy marks them with a beacon of sorts. This allows him to go to that person whenever he wants, but it makes them sick as it is radiation. I was thinking more like a specific type of energy. If you put on infrared goggles the protagonist would look like a christmas tree. Something like that. Or something physical his proxies could install. Subject: Re: An explanation for Slender Sickness?